Jordan Sta. 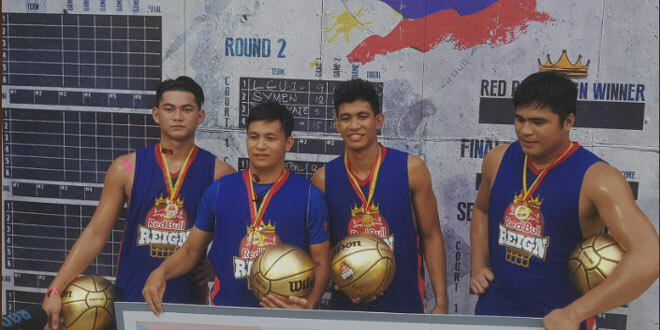 Ana led the charge for Phenom as the team won the Red Bull Reign 3×3 Tournament, beating LGU 1, 10-7, in the finals at the Taft Food by the Court in Pasay on Saturday night. The former UST player scored the go-ahead long one-pointer while making two straight layups that helped Phenom break away from LGU 1 to win all-expense paid tickets to the Red Bull Reign World Finals in Washington DC. Sta. Ana also got help from all his teammates, namely Jarrold Flores, Carl Sumalacay, and John Rom Alvarado. Souldier, on the other hand, stunned Pacita, led by former Lyceum big man Seraj Elmejrab, 14-13, to capture the bronze.